When you are in blogging field or if your business and clients are online then you must need a mode to send and receive payment from overseas. At that time you can make use of two famous services PayPal and Google wallet. PayPal is very famous and old online payment gateway founded in 1999. 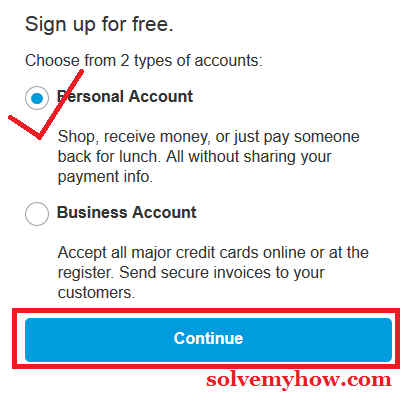 How to setup a PayPal account and why to setup a PayPal account ? You can follow the steps written below to create a paypal account. It doesn't required any IT skills. 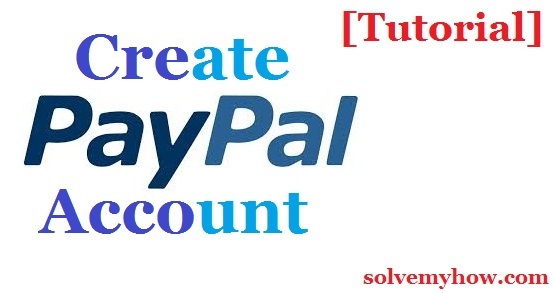 Its very simple and anybody can create paypal account. You have to setup a paypal account if you are in advertising field or if you want to learn how to make money by doing affiliate marketing. But If you are an Indian user then you have to face some limitation, if you wanted to use paypal service. Indian users can setup and verify PayPal account by completing one taskboard. You can read the post if you are from India. But for now I'll keep this tutorial to the point. So, lets see how to create a PayPal account. As I said Indian users may have to face some difficulties while creating the account but its really easy for your guys. You just need to follow the steps written below. Step 2 :- Select your country and account type. You can select personal account if it is for your use only and if you just wanted to use it for sending and receiving the payments. Business account is chargeable so don't use it until and unless required. Step 3 :- enter email address and password. enter your proper email address, with this you are going to receive the payments and then choose your password. Remember your password must be of minimum 8 characters and it must contain atleast 1 number. Finally click on "continue". Step 4 :- Fill your details. Accept T&C and click on "Agree and Create Account". Step 5 :- Enter captcha. Answer "security challenge" if asked and click on continue. Step 6 :- Confirm your email address. Now paypal will send you one confirmation email on your email id. So, just open your inbox and open paypal's mail, then click on link "Click to activate your account". Now you will be redirected to successful confirmation page. 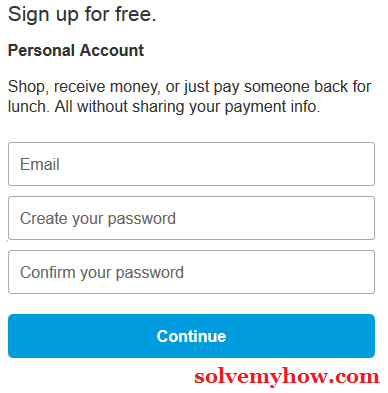 Now, just login into your account and that's it you have successfully set up paypal account. Now you can easily receive payments from overseas account. You have to add your back account with paypal. Just click on "Add a bank account" link and add your bank account. But if you wanted to send payment/money to someone then you also have to link your credit / debit card else there is no need to link your credit card. That's it, you just successfully created PayPal account. 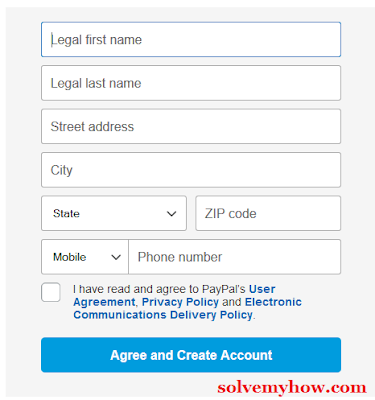 I hope this tutorial helps you completely in creating PayPal account. If you're facing any problem while creating account, please do let me know via comments. Great post piyush.. this will help those people from india who are struggling to set up a paypal account. But i have one question that As there are two types personal(free) and paid(business) so to get payment and receive revenue from adsense and any other ad network which one we should choose personal or business ? Thanks from dropping by and commenting. Vikas you can definitely go with personal account. You can easily receive payments from overseas. PS. adsense doesn't pay via paypal. While other networks do + affiliate companies specially. There would be definitely some problem with the card. Ankit had you tried calling them for issue ? If not then please call them on toll free number. They will definitely resolve this issue. Visit below mentioned link for paypal customer care support. Yes Ankit you can receive payments when your bank account is confirmed with paypal. Its just you can't send payment to anyone when you debit/credit card is not accepted. hello sir, i just want to confirm my doubt about paypal, my bank account is confirmed with paypal, but debit card is they are not accepting don't now why so as you replied to ankit the above comment, that we can receive payments in paypal account and can we transfer money from paypal to bank ? That's true vickey. You can receive the payments. Though you can all them on their toll free number. Well written post. any of people like me having problems in having paypal account. I'm glad you liked reading this post.